We’ve run Expose Yourself Comps for three years and they are now closed (and replaced with the new!, improved! SoapBox Comp for the 2013/14 season). For posterity, we want to include—and highlight—the most-excellent winning submissions for our visitors like you. The page is a little loooooooong so prepare to exercise your scrolling finger. Just because we really can’t do it enough, we’d like to thank our partners for providing a whack of amazing prizes. 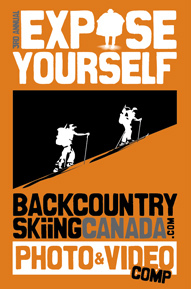 Namely: Mount Carlyle Lodge (X2), G3, Westcomb, the ACC, Retallack, Roam, Whitewater Ski Resort, and Valhalla Pure. Merci mille fois. For a sampling of 2012/2013's prizes have a look way down at the bottom of this page. Here are the winners from 2012/2013 EXPOSE YOURSELF PHOTO AND VIDEO COMP. Here below, in no particular order, are the five winners for December, January and February. Check ‘em out. Here are the winners from 2011/2012 EXPOSE YOURSELF PHOTO AND VIDEO COMP. SNOVEMBER 2011, VIDEO HIGHLIGHTS FROM COAST RANGE OF BC. Here are the winners from 2010/2011 EXPOSE YOURSELF PHOTO AND VIDEO COMP. 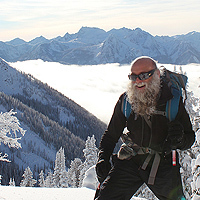 #1 Vince Shuley, Whistler BC - "Turns Over Peaks"
#2 Stu Masterman, Vancouver BC - "Asulkan Valley"
#3 Jeff Hammerich, Nelson BC - "Satan's Choice"
#4 Kenneth Roy, Nelson BC - "Qua Peak"
WINNER #1: Heli in/out MOUNT CARLYLE backcountry lodge ski week for two people. And it’s catered. 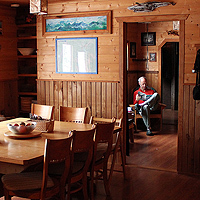 The Mount Carlyle Lodge team is working with us to offer our super-duper grand prize this year. 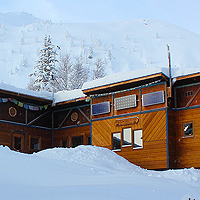 Sitting at 7200’ in the heart of the Kokanee Range in British Columbia’s World Famous Selkirk Mountains, this lodge is a gateway to some seriously sick terrain. 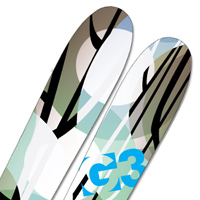 Prize is valid any time during the 2013/2014 season (depending on availability). 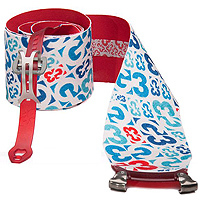 Our friends from G3 have kicked in an awesome ski/binding/skin combo for our lucky second prize winner. This set up brings together the worlds of light and fat. 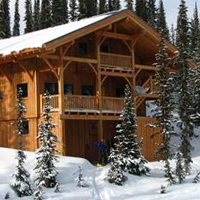 WINNER #3: A WEEK FOR TWO AT THE ALPINE CLUB OF CANADA KOKANEE GLACIER CABIN WITH HELI IN/OUT PROVIDED BY RANGE HELICOPTERS. 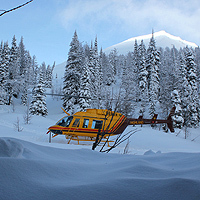 We’ve partnered with the ACC to offer our third prize winner a week for two at Kokanee Glacier Cabin with Heli-in and Heli-out provided by Range Helicopters. 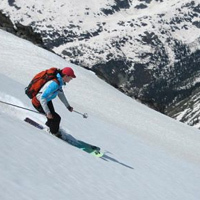 You'll be backcountry skiing with members of the Backcountry Skiing team for a full weeks worth of powder bliss from May 4th - May 10th 2013. 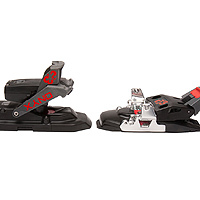 All you need to pack is your food, your ski gear and a good set of trail breaking legs! 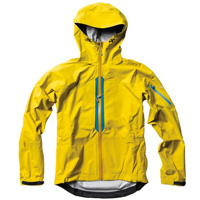 WINNER #4: A Westcomb SWITCH LT HOODY hardshell jacket and Chief hardshell BIB pants. 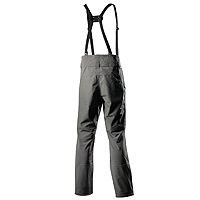 Our winner number four will be covered in Westcomb products from tip to tail—Switch LT top, Chief bottoms. 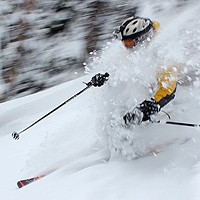 Sick all-day coverage for a day, or week, in the backcountry.